Tornedge is a partnership between two sisters-in-law Amelia and Anna Newton. 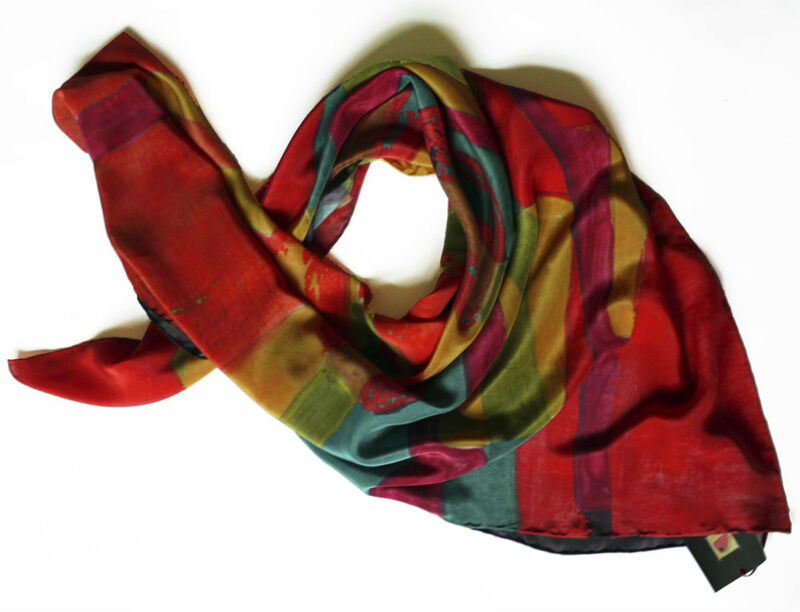 They have complementary design styles and have produced a range of beautiful silk and woollen scarves, vibrant velvet cushions and handmade embossed prints. We caught up with Amelia to find out more about one half of this fab design duo. If you weren’t a designer-maker, what would you be right now? I could not be anything else. When did you realise you wanted to be a designer? Are there any other designers whose work you admire, and why? Margo Selby – for the ability to reinvent her ideas and be both fresh and recognisable, and for her business acumen. What’s one thing you like to do every day without fail? Designing new products/people appreciating my designs. What’s the best gift you have ever received? A ceramic sculpture of a sheep. Too many items to list. What is the best piece you have bought and from whom? A small wooden sculpture by a famous Polish sculptor Marcin Rząsa. Check out Tornedge’s designs here!